Estrin-D is a weight loss supplement that is marketed to pre-menopausal and menopausal women. It is a stimulant that is sold over the counter in a 90-capsule supply. As can be seen from the active ingredients, Estrin-D contains a high amount of natural caffeine compounds. Caffeine has a mild metabolic effect and can also lead to decreased appetite, which is why so many diet pills include caffeine or caffeine-related natural substances. 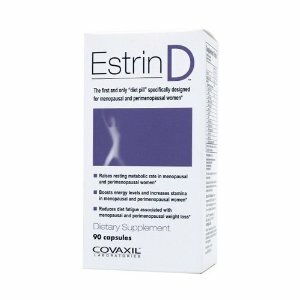 Estrin-D is not known by any other brand names. The producers of Estrin-D claim that the supplement works by using unique herbal blends in order to boost energy levels and stamina so that users can get more out of a healthy living regimen. They also claim that Estrin-D increases the user’s metabolic rate while reducing their appetite as well. Users are recommended to take two pills with a full glass of water at least 15 minutes before they eat a meal. They should not take more than six pills a day. 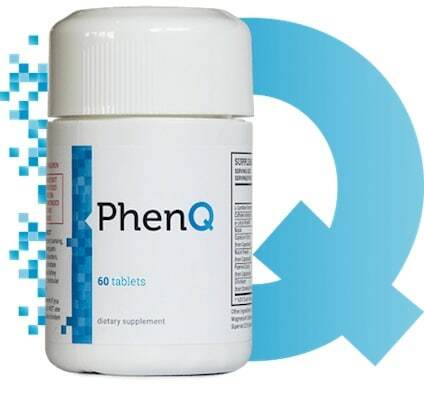 The drug is produced by Covaxil Laboratories LLC, a company which specializes in designing over the counter weight loss supplements. Because of the high caffeine content found in Estrin-D, users are discouraged from consuming large amounts of other caffeine-based substances. Excess caffeine intake can lead to heart palpitations, trouble sleeping, anxiety, nervousness and irritability. Anyone who is taking Estrin-D should stop immediately and contact their doctor if they experience blurred vision, dizziness, or a rapid heartbeat, as these may be signs of an insensitivity to caffeine or related compounds found in Estrin-D. Estrin-D may also cause complications in users who have a family history of heart disease, prostate enlargement, prostate cancer and low LDL cholesterol levels. Other possible side effects of Estrin-D include hair loss, acne, facial hair growth in women, aggressiveness, irritability, and increased estrogen levels. Increased levels of estrogen in the body can be a major source of concern for pre-menopausal and menopausal women, as having too much of this hormone has been linked to the development of breast, uterine and ovarian cancer. Much of the effectiveness of Estrin-D is self-reported by users and very little medical research and scholarships has been conducted in order to verify these claims. Taken together with the possible side effects of the supplement, it does not seem as if taking Estrin-D is worthwhile or even healthy. If you want to learn more about other supplements, head over here.